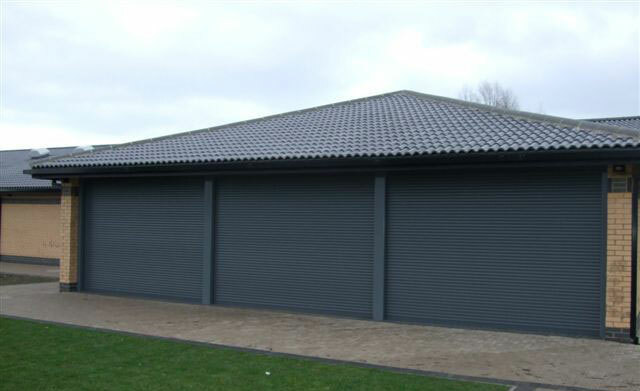 Roller shutters are a great way of improving the security of your business. They’re superb for allowing you and your employees easier access to certain areas of the building, such as loading bays, storage, and delivery areas. But aside from security, a hidden benefit of roller shutters is that – in certain circumstances – they can help you to insulate your business and provide a noticeable reduction in your energy costs. A well-made security shutter will provide a tight fit, regardless of the gap it’s covering. Whether it’s just a single width doorway, a delivery bay, or even covering an entire shop front, a proper security shutter will fit perfectly. This means that you don’t have to put up with the cold draft on a breezy day. This is particularly useful in businesses that operate on a larger floor space, for example factories and warehouses etc, which can quickly become very cold. A security shutter allows any gaps in the wall to be plugged with a minimum of effort, helping to effectively insulate the whole building. It also helps to prevent wind and rain getting in overnight. It’s no fun to arrive first thing in the morning to find the entire space is freezing cold and damp; a well-made security shutter will keep the wind and the moisture at bay. This is particularly useful for fostering a comfortable working experience for yourself as well as any employees that you may have. Manual work is difficult to do while wearing thick insulated gloves, and many people underestimate how quickly cold can take its toll on your extremities if they’re exposed. Comfortable employees are happy employees, and happy employees are productive employees. It stands to reason that a little investment into some high-quality security shutters to help insulate your premises will mean you’ll experience a boost in overall employee satisfaction, which will also help improve efficiency. Well-made security shutters will also be a pleasure to operate. There won’t be a great deal of resistance to anyone trying to open them, they’ll simply slide open quickly and easily, without an excessive amount of noise. All businesses want to operate on as large a profit margin as they possibly can. Whether you’re a single person operation or you have multiple employees across a number of different sites, one of the places you’re going to be looking to save money is in your monthly utilities. Energy wastage isn’t a good thing in any respect, and it certainly will be a positive way to market your business to show your customers that you’re energy efficient. To do this, you need to make sure your premises are as well insulated as possible, which is where high quality roller shutters come into their own. Ensuring they are being used properly, you can expect to see considerable savings on your utilities, as you won’t have to spend anywhere near as much money to keep your place of business comfortably heated. It won’t be long before you have made back all of your investment from the money you’ve saved through your lower energy usage. They’re also an improvement in operational efficiency. It’s amazing how much time can be spent struggling with a stuck or warped roller shutter, which is all time completely wasted. The only alternative is to keep the shutters open through the day, which means on a cold day that everyone inside is going to feel it. Brand new high quality shutters operate smoothly and easily; you can raise or lower them in just a few moments when need be rather than keeping them open all day long. Providing security shutters throughout London, we can provide you with a wide selection of roller shutters fit for your purposes so please contact us for more information.